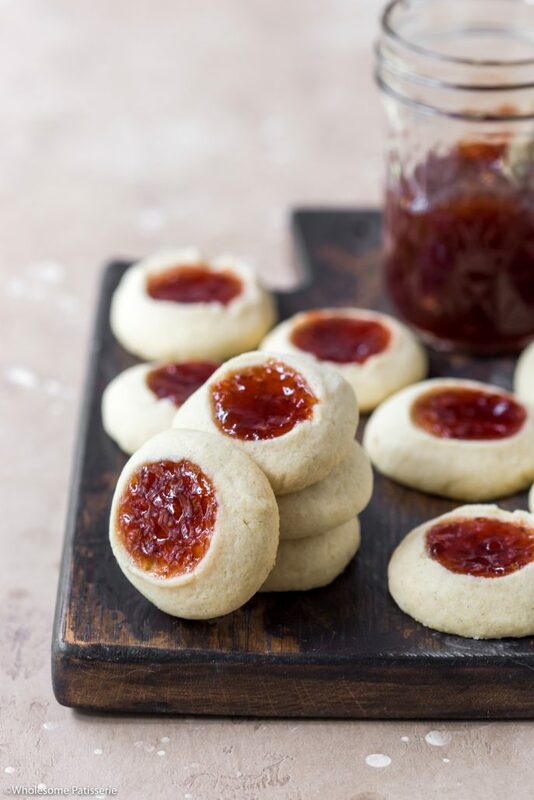 Homemade Jam Drops, now is there anything much better? Well of course there is but this is one recipe that you have to bake. 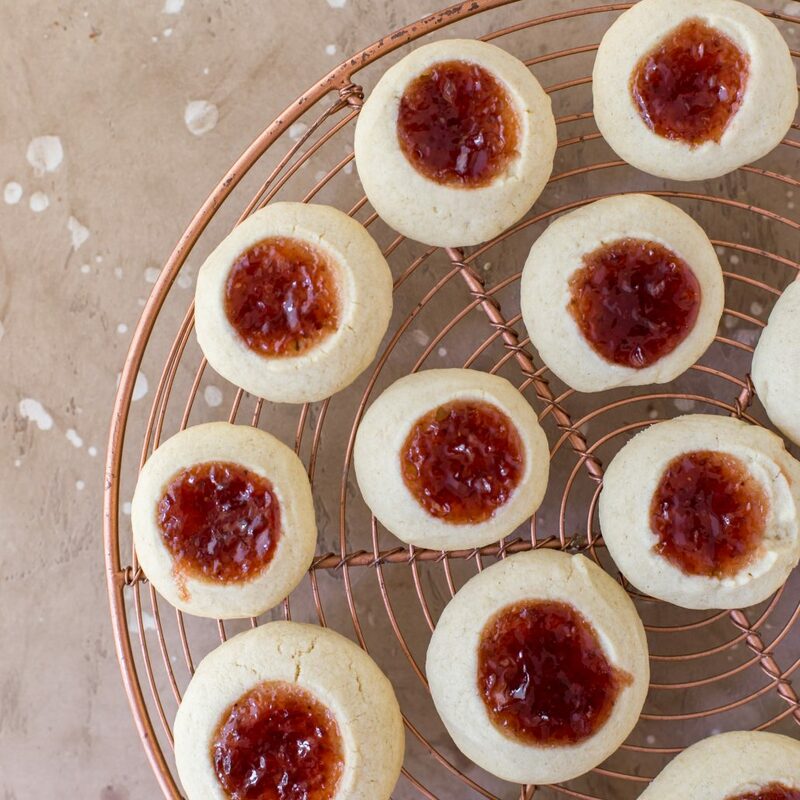 I just love how a basic set of ingredients can create a number of delicious, classic home baked goodies. 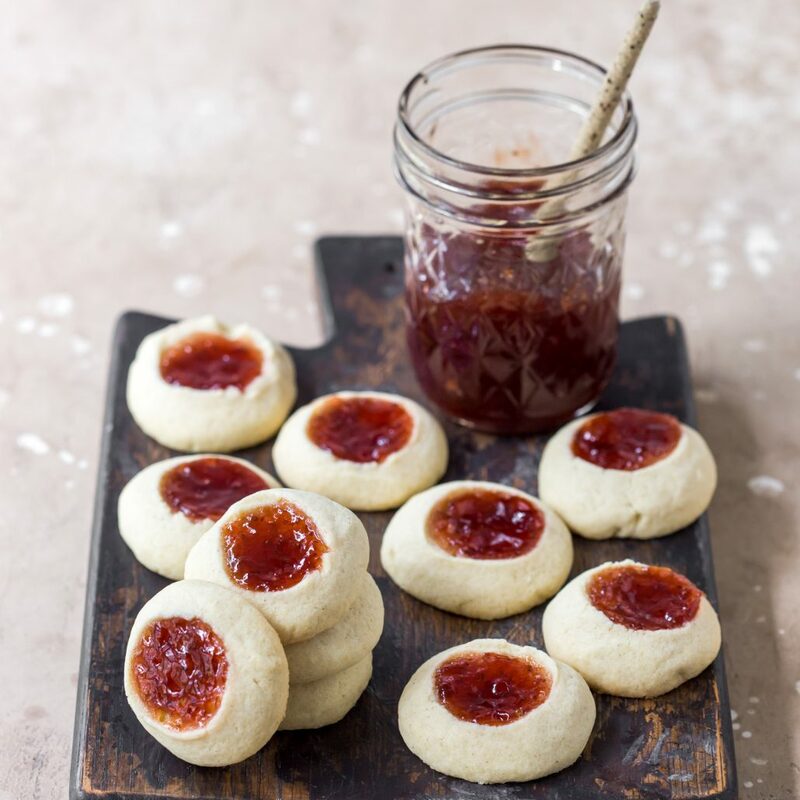 Jam Drops are incredibly easy to make, in fact they only require you to use 1 mixing bowl and 7-ingredients, most of which I’m guessing you already have on hand. 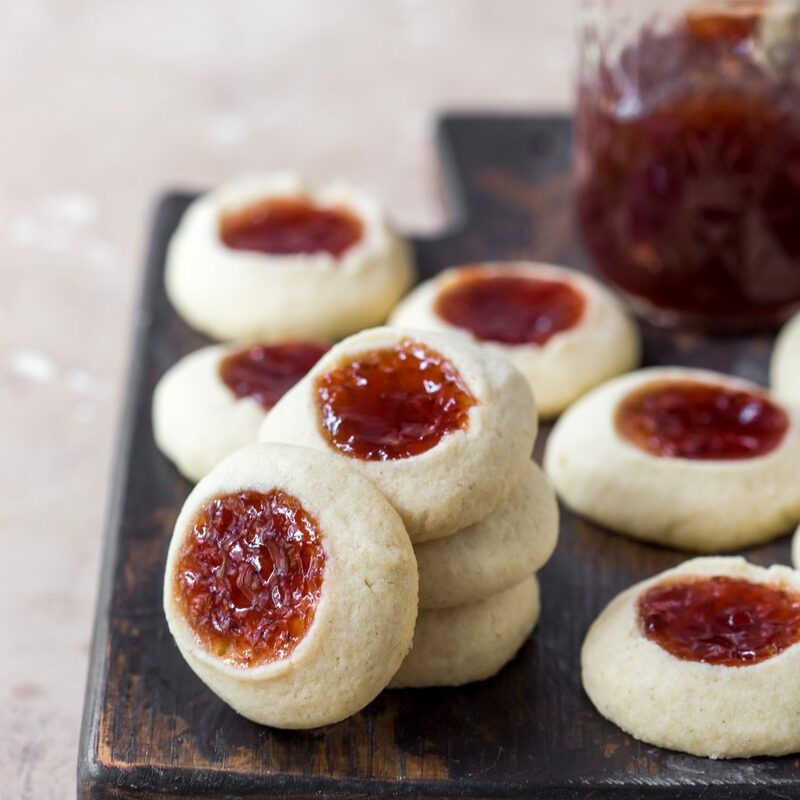 For these jam drops, I used strawberry jam but I welcome you to use any flavoured jam you desire or have on hand to make things even easier. 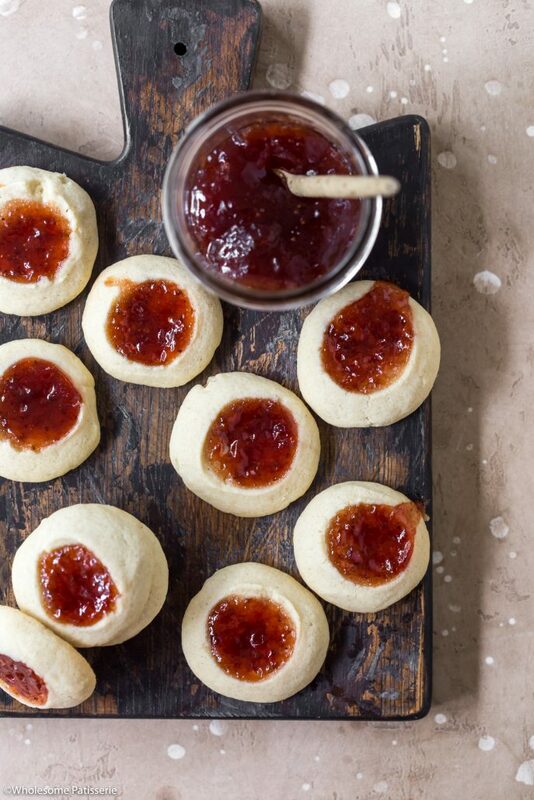 Or if you happened to have any homemade jam, that would be an amazing addition. As usual, I used my trusty gluten free all purpose flour (see recipe notes). 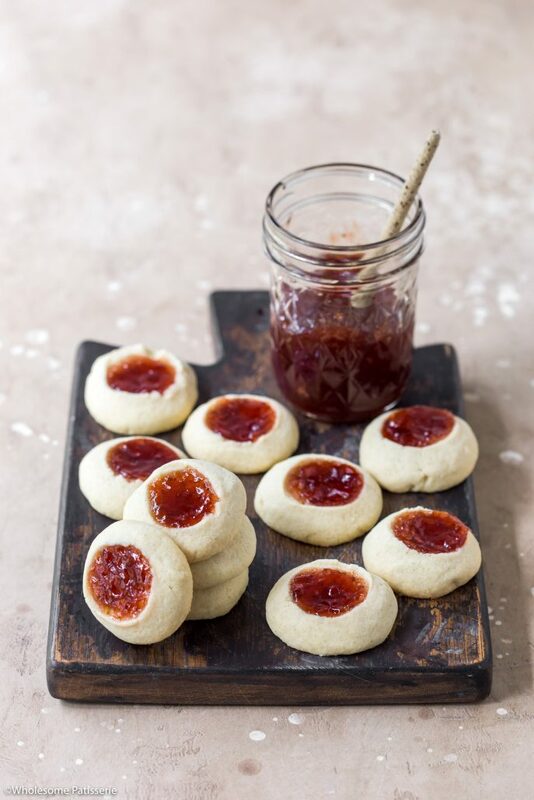 You can use your go-to all purpose gluten free flour or regular wheat all purpose flour, that’s how versatile this jam drop recipe is. Let’s get baking! In a large mixing bowl, or the bowl of an electric stand mixer (if using), add softened butter, caster sugar and vanilla. Beat on high for 2 minutes until mixture turns light/pale yellow and fluffy in texture. Scraping down the sides as needed. Sift over flour and baking powder together. Beat until a soft dough forms, approx. 30 seconds. Scraping down the sides as needed. Preheat oven to 180ºC (356ºC). Line a large baking tray with parchment paper, set aside. Pick up approx. one heaped teaspoon of dough, roll and form into a smooth disc (slightly flattened dough ball). 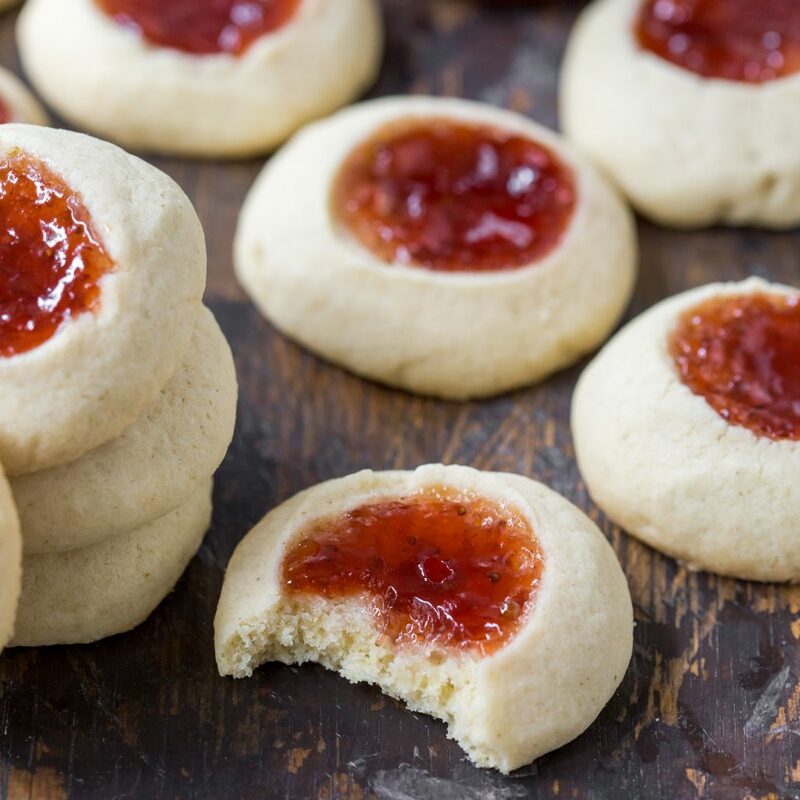 Place on lined tray and repeat with remaining dough. Using the end of a wooden spoon, gently form an indent in the centre of each. 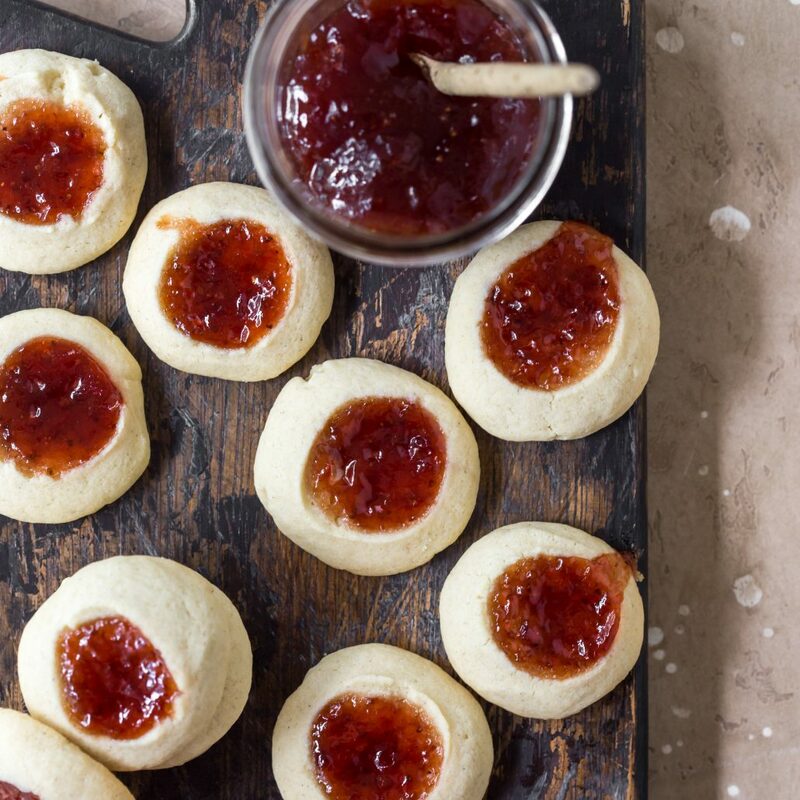 Fill each indent with jam. Bake for 12-14 minutes or until slightly golden around the edges. Remove and cool on pan for 3 minutes. Carefully transfer to a wire rack to cool completely. Store in an airtight container, in the pantry or refrigerator, for 1 week. 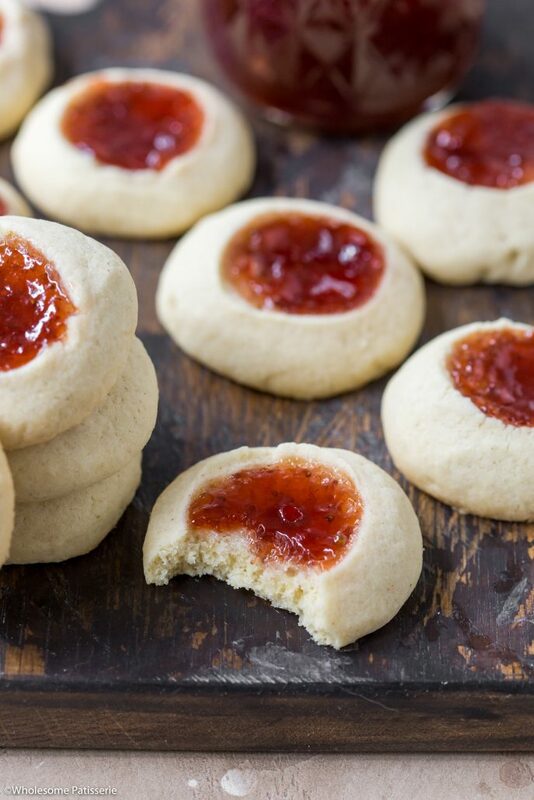 *I use Bob's Red Mill 1-to-1 baking flour.